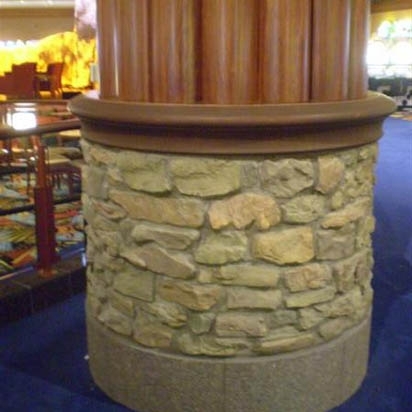 At Stromberg Architectural , we can create GFRC products that resemble any type of natural or man made product, from stone or wood to bronze or terracotta. Among its many benefits, GFRC is known for its versatility and design freedom. Imagine being able to work with a material that could be made to look like just about any type of natural or man-made material. After all, no two buildings are the same. Each structure has its own look, design, and style. With such a diverse range of architectural needs, it helps to have a construction material that can respond to all needs in terms of design challenges and requirements. If you do not see the texture you are looking for on this list, contact Stromberg’s and tell is your project needs. A finish is something that is exactly as it sounds – it finishes off an element of a building or architectural feature. A finish is typically a paint or stain, but sometimes it is a glaze, depending on the type of look you are trying to achieve. Stromberg Architectural offers many types of finishes to complete the look for your GFRC-based architectural product. You can have it custom pre-painted with any number of finishes or you can order it so that it is ready to be painted by your construction or remodeling team. The available finishes also include numerous concrete and antiquing stains or custom hot glaze finishes that create the look of terra cotta or glazed tile. By naming your details and your project challenges, Stromberg Architectural can develop a solution to help you capture the look and feel you want. The team can engineer the right type of GFRC mix as well as invent a texture or finish that captures what you have imagined. Stromberg Architectural has completed more than 1,400 projects with GFRC across a diverse range of applications, so this experience can be used to help solve your unique design or project challenge. Stromberg Architectural is a pioneer in creating innovative GFRC architectural products for all types of projects, including everything from yachts and planes to underwater GFRC materials to cladding for high rise buildings to signs and architectural building features. Whatever your construction or remodeling project might involve, it is worth considering the many benefits of GFRC. Please fill in our online contact form or call our experienced team at 903-454-0904 to learn more or to get your free estimate.